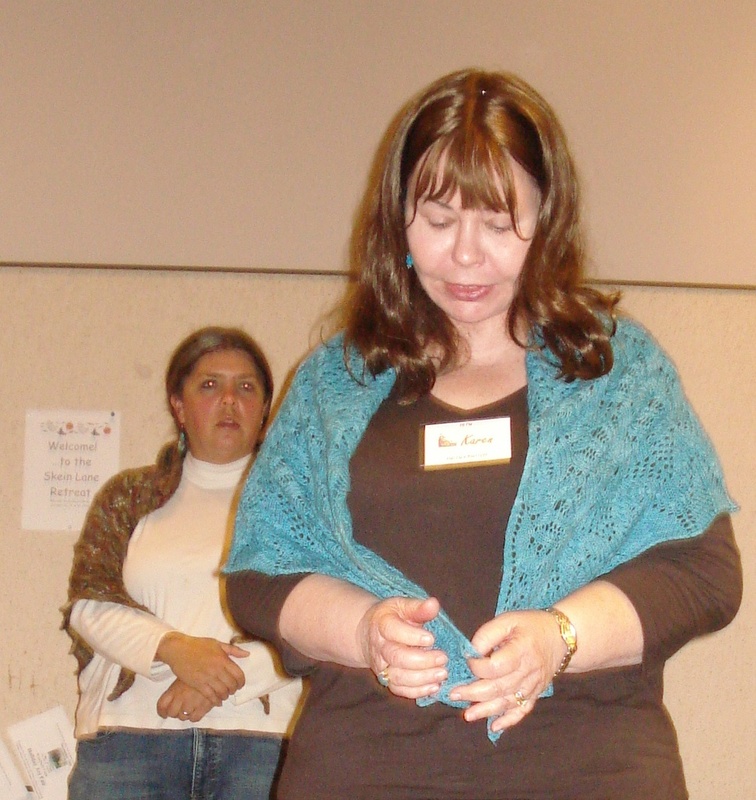 Several years ago Diane and I knit the Rebozo Shawl. 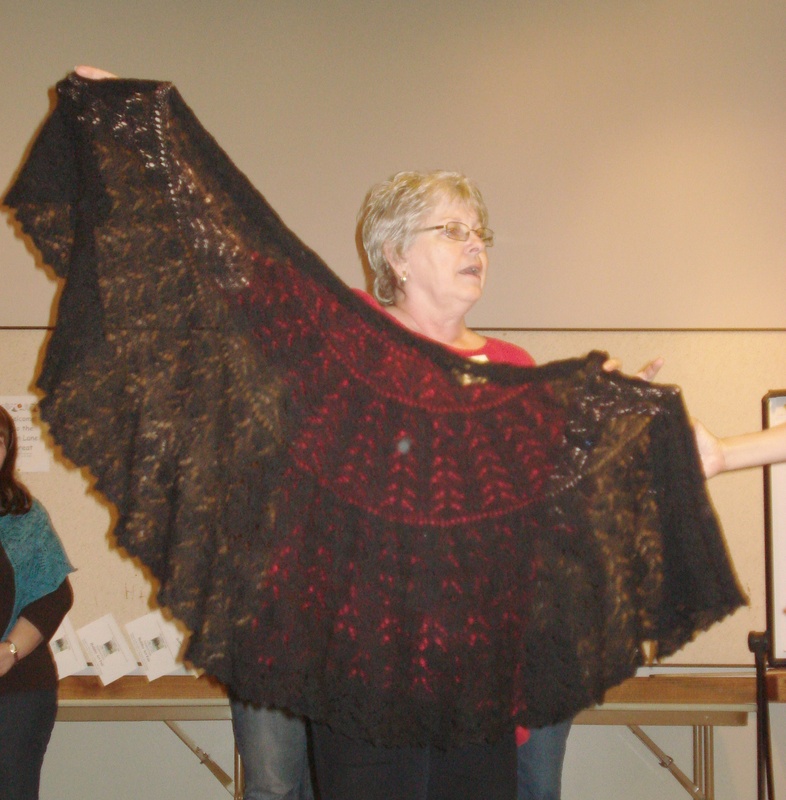 Since our original showing/sharing mine was lost a few years ago at a fashion show where I was modeling my shawl. 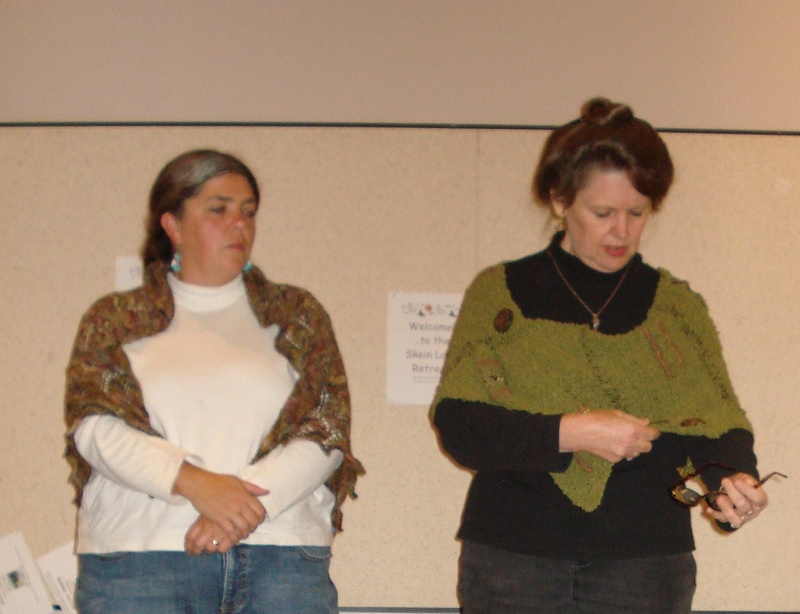 I have hated the loss of that shawl which I knit in memory of knitting friend Sandy. I knew that I wanted to knit it again but knew it would make me too sad to knit in the same color but I did knit it again in a different colorway…. 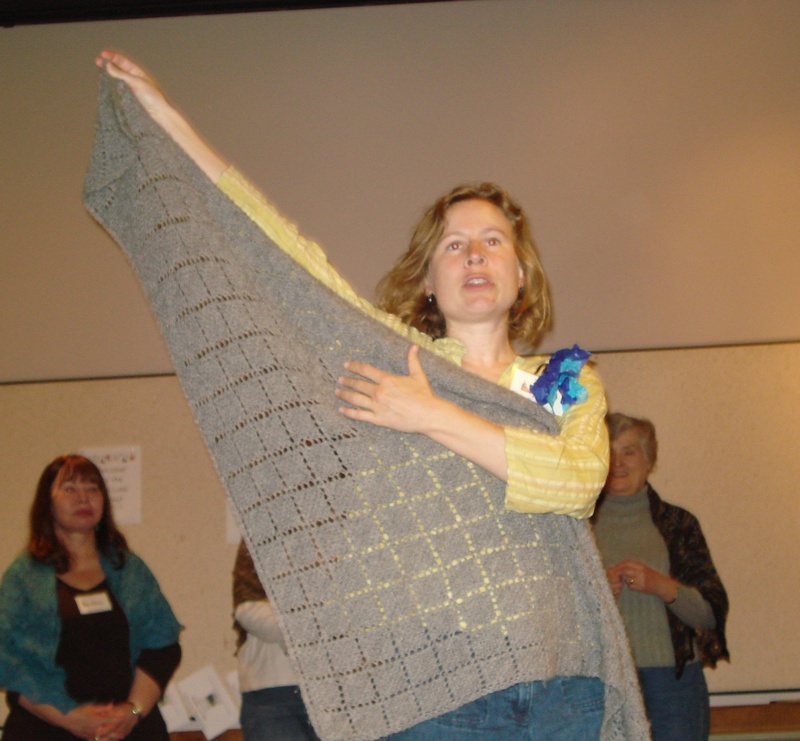 in the memory of Sandy and the original shawl. 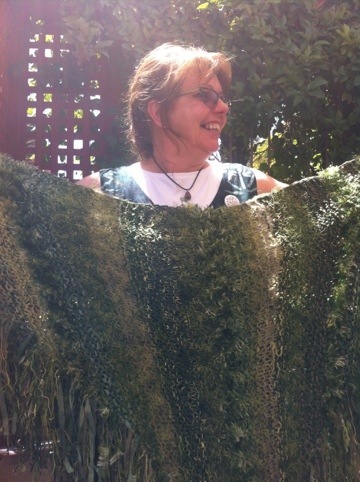 The beginnings of my replacement Rebozo inspired fellow knitter Susan from Saturday knitting workshop to knit one. We both used Elsbeth Lavold Silky Wool. Today we modeled the old and the new……Diane’s two renditions (modeled by Diane and Jan) and the latest from Susan and me. Susan is so happy with hers that she has already embarked on her second one. 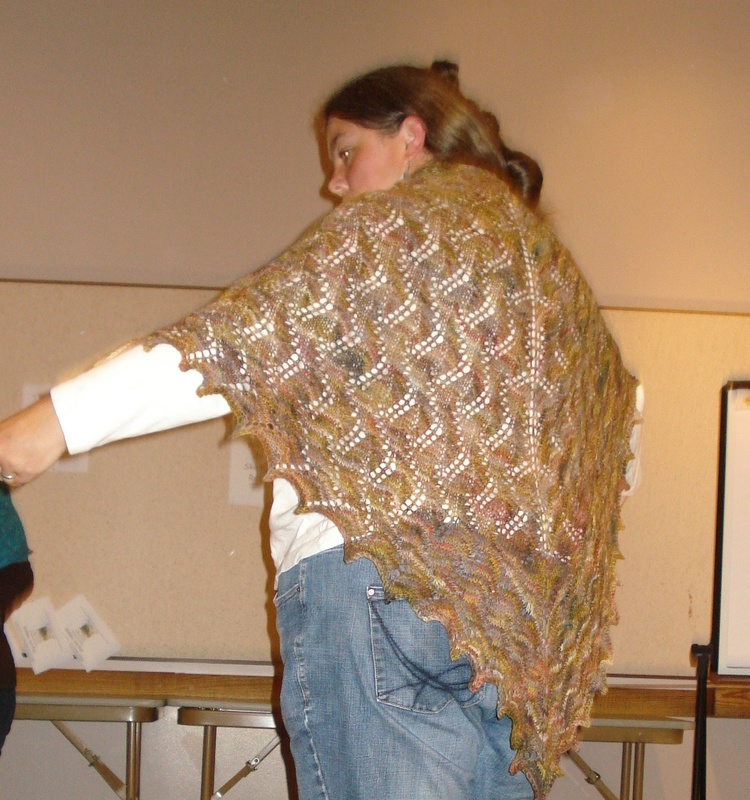 Note that each shawl has its own unique creativity…..besides colorway and yarn differences each shawl striping pattern is slightly different. 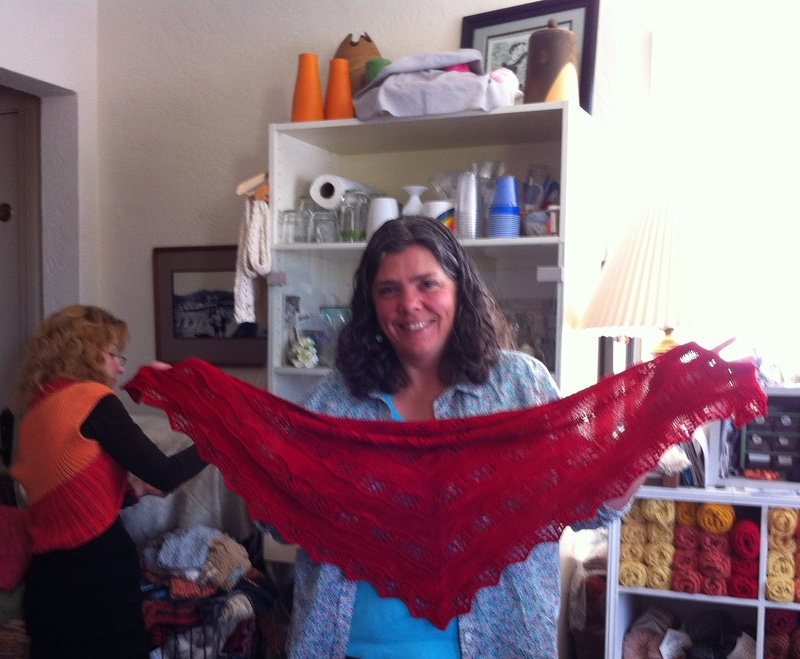 Even though there is/was a lot of knitting in these shawls…..each row on mine was 400 stitches on size 6 needle it is a pleasure to knit and so fun to have the finished results. I know you will see us about town in our shawls. Below you can see from needles through blocking to finished garment. I generally do a wet block which means I wash (soak) on gentle cycle on my old washing machine in a non-detergent soap. I do not rinse but do spin it dry. Then the damp garment is taken to the studio table to be hand blocked….I literally use my hands to press the garment out. It is laid on towel(s) and covered with towel(s). Once dry….it’s done and looks so gently blocked. I love the results. 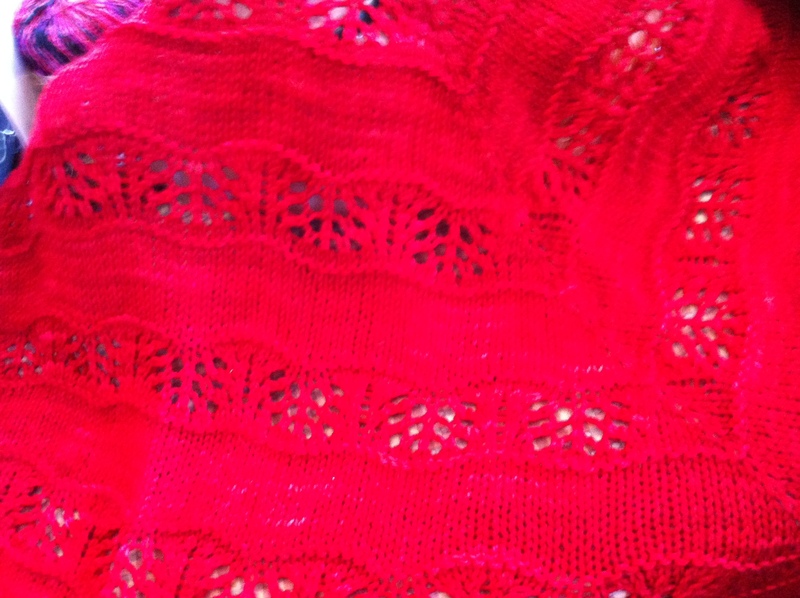 Some intriguing shawls in this post….I now my needles are struggling to knit all that I see…just keep knitting! I love shawls. They’re the perfect pieces for adding just a touch more warmth on chilly nights (or in chilly offices). You can use almost any technique/style with them – from cables to garter to lace. It’s lace, really, that I’m loving most right now. We celebrated! We lunched at Picante’s in Berkeley…we moved to the outdoors as the afternoon moved along. 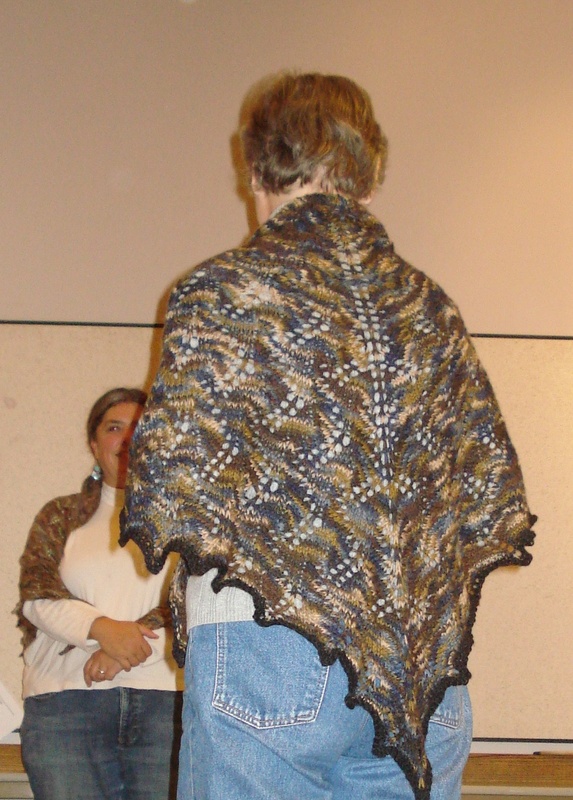 Terry was showing us her Crytal Palace kit shawl when a young man walked to his table. He and his friends were so impressed with her work…we all struck up a lively knitting conversation. They were impressed to meet the “knitting” Fire Captain. Terry will be moving to Shasta area….she promises to come back and see us on a regular basis. I sure hope so…her knitting energy is surpassed only by her own personal energy! We agreed…we all have many stories and tales to tell and share.